Ohmygosh you guys, I am SO not a cook(although my skills in this department are improving)! And, I’m definitely not a baker! 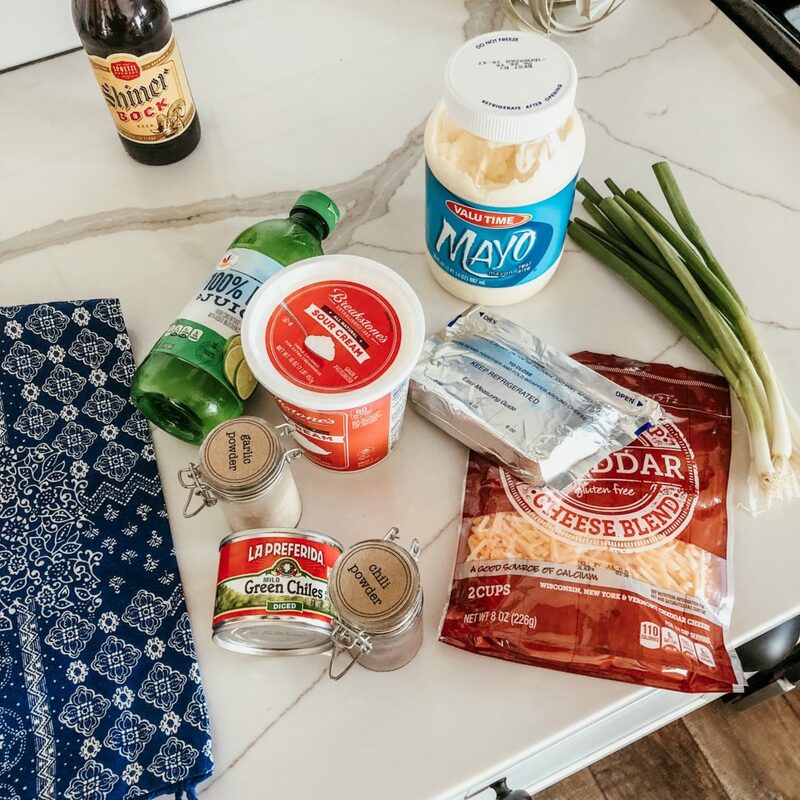 But, when it comes to dips and party food…….well, I have been known to make a mean dip! 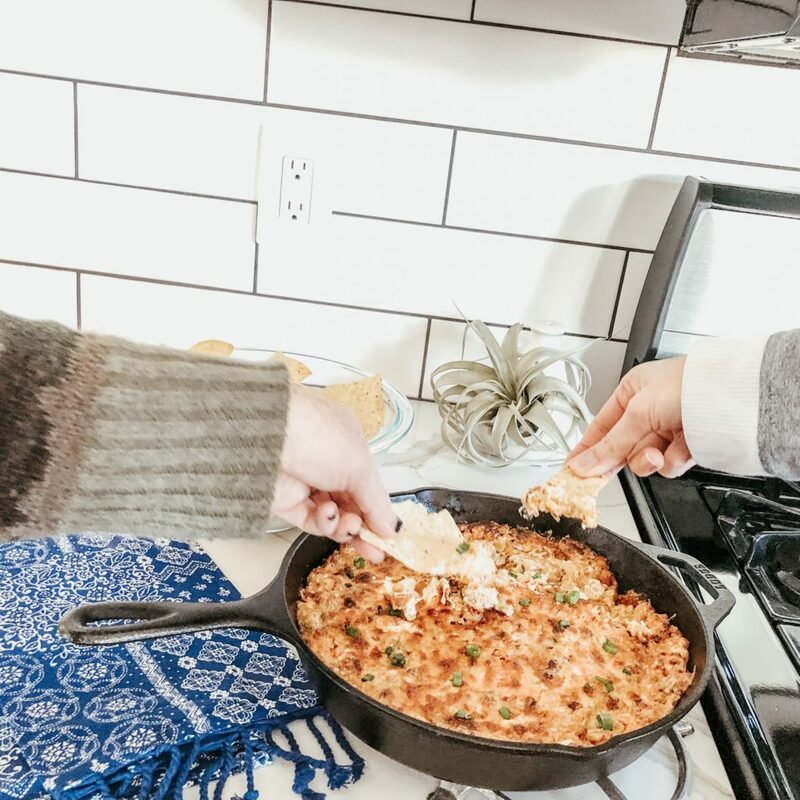 I was inspired to start sharing some of my favorite recipes here on the blog so that my friends and family (and you guys) could have a permanent place to access them! 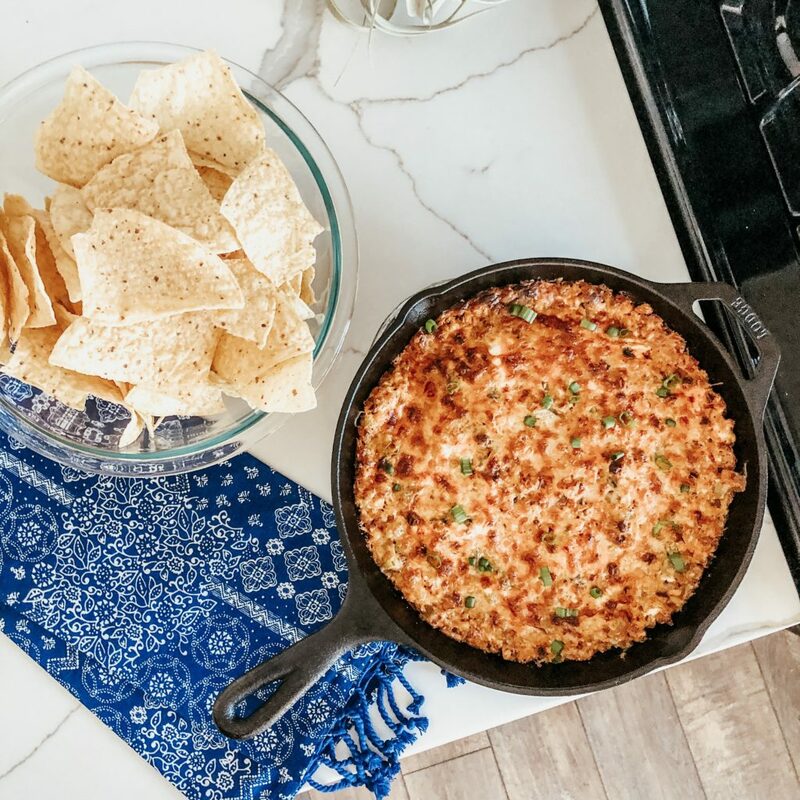 I recently made a version of this dip, for the first time, when having friends over – they are the perfect audience to try new things out on! Needless to say, it was easy to choose this as my first recipe because there wasn’t any left! 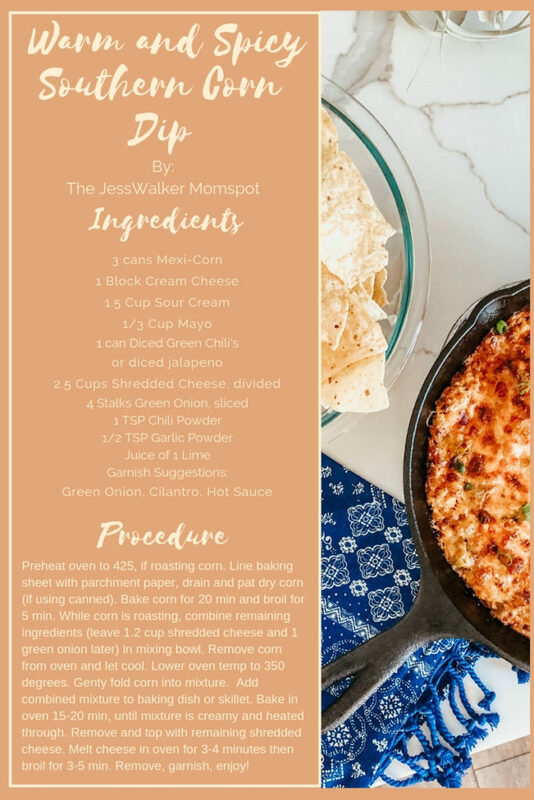 I made some slight tweaks to jazz up the dip the second time around and thus was born: my Warm and Spicy Southern Corn Dip! Before getting started, keep in mind, there are no hard and fast rules to making this dip. If you don’t have an exact ingredient – just use something comparable that you have on hand and have fun with it! I start by roasting the corn. I feel like this gives the corn a really beautiful texture but also some added flavor but you can always omit this step and it’ll turn out wonderfully. I typically use canned “Mexi-Corn” but regular canned or frozen corn works too! 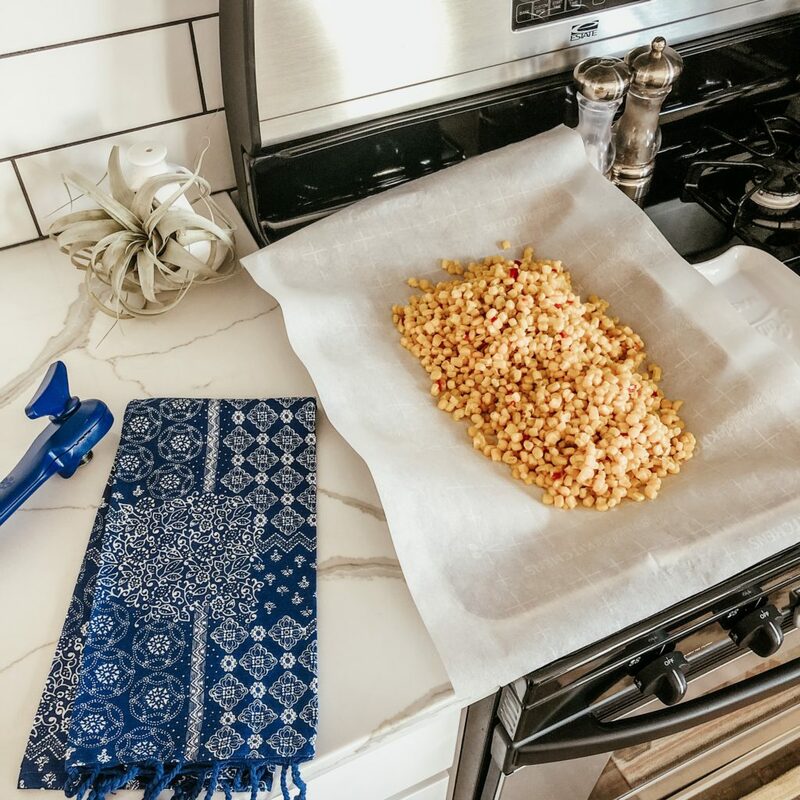 I’m all about making things easy in the kitchen so I roasted my corn using a baking sheet and parchment paper. But, you can char it up in a pan too. While the corn roasts in the oven combine the remaining ingredients in a large mixing bowl. Once finished roasting and cooling add the corn to the mixture and fold in gently. 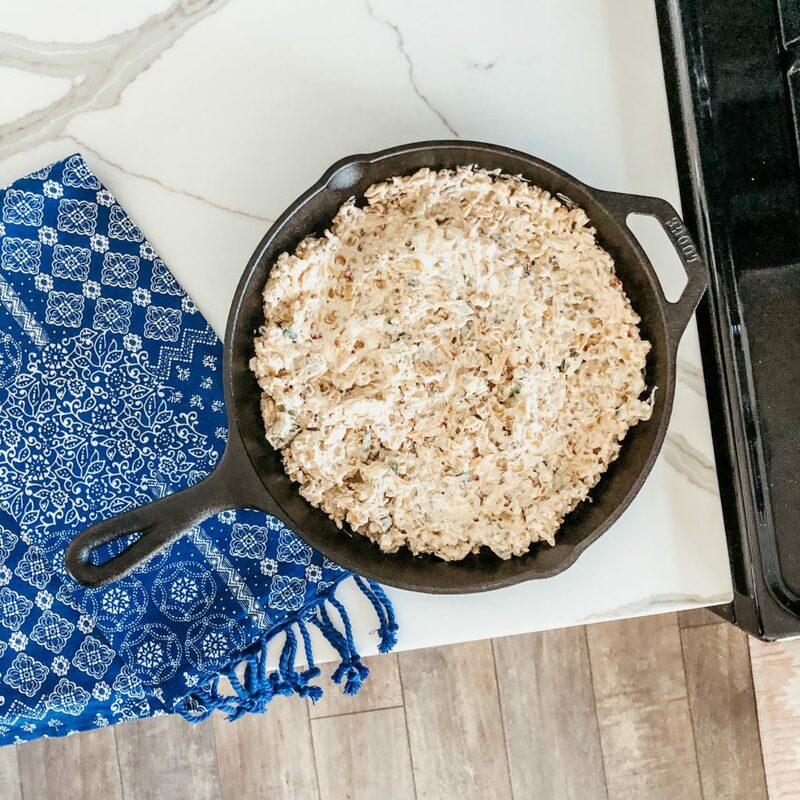 For baking the dip, I like to use a cast iron skillet. I feel like it’s a fun way to present and serve; i.e. less dishes! You should use whatever type baking dish you have on hand and love. 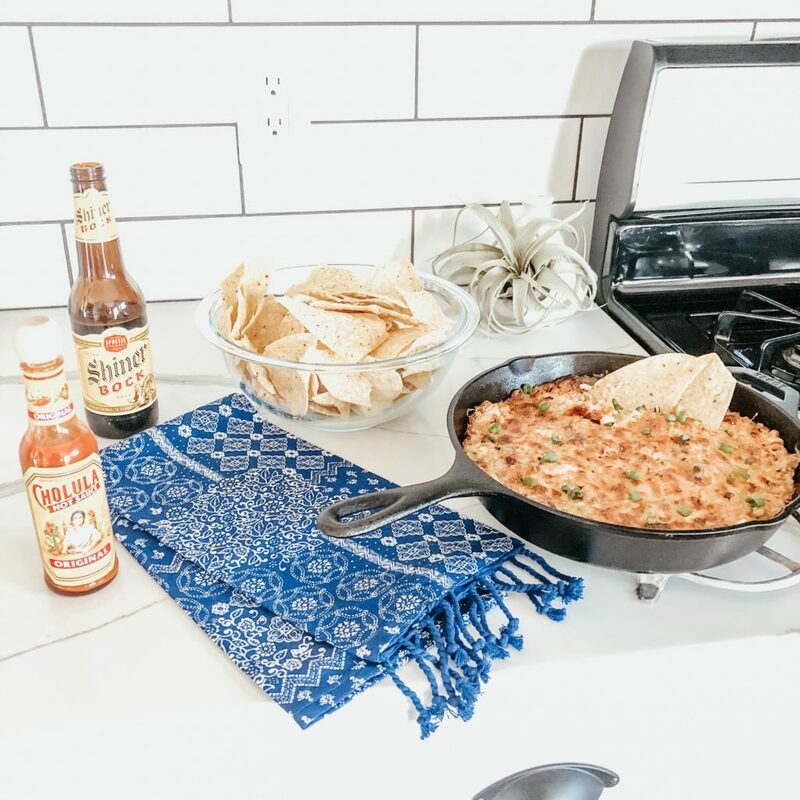 Spread the corn dip in your dish and pop it in the oven! After baking for approximately 15-20 minutes, I remove the dip and add additional shredded cheese to the top(I use whatever type cheese strikes my fancy, btw). I then return it to the oven long enough to let the cheese melt. Once the cheese has melted (2-4 min) I turn on the broiler to crisp up the top and give it that pretty baked look. Leave the broiler for as long as you prefer or skip this step entirely. Another thing I love about this dip is that it can literally be served with whatever you have on hand! Chips, crackers, pita, or an assortment of veggies (a spoon, lol) are my fav! Note** It is recommended that any dairy based dip not be allowed to sit out at room temperature for more than 2 hours. At that point, you would want to either reheat the dip or store it in an air tight container and refrigerate for up to 3 days. You can hold down the recipe card image (if on mobile) or right click and save (on desktop) for easy keeping of this recipe! 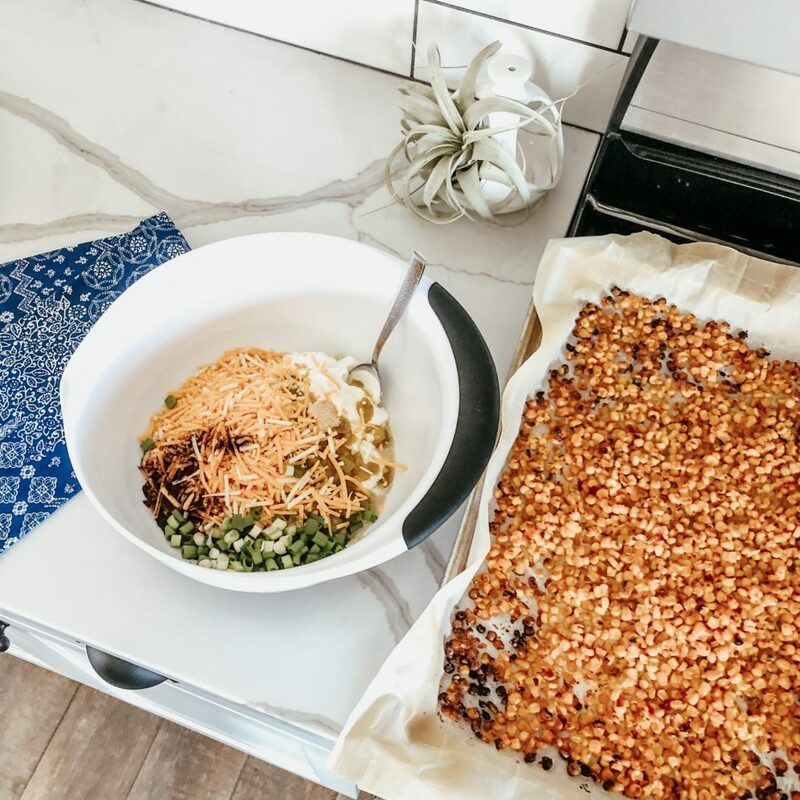 As always, I’d love to hear from you if you try this recipe! Feel free to leave a comment here or tag me in your images/stories on IG @thejesswalkermomspot!